Where an assessee, being a resident individual, who has acquired listed equity shares (or listed units of an equity oriented fund) in accordance with a scheme notified by the Central Government in this behalf, shall be allowed a deduction of 50%, of an amount invested in such equity shares (or units) to extent such deduction does not exceed twenty five thousand rupees. The deduction is a one time deduction and is available only in one assessment year in respect of the amount so invested. "The deduction this shall be allowed for three consecutive assessment years, beginning with the assessment year relevant to the previous year in which the listed equity shares or listed units of equity oriented funds were first acquired". (1) the gross total income of the assessee for the relevant assessment year shall not exceed ten lacs rupees. liable to tax for the assessment year relevant to such previous year. 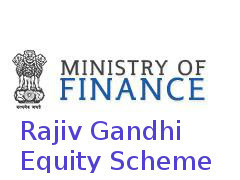 'Note: "Equity Oriented Fund" shall have meaning assigned to it in the explanation to clause (38 of Section 10). Notified Long Term Infrastructure Bonds for the F.Y. 2011-12 - vide notification no. 50/2011 dated 9/9/2011. (a) The Long Term Infrastructure Bond issued in the financial year 2011-12 shall be by the Industrial finance corporation of India. The Life Insurance Corporation of India, The Infrastructure Development Finance Company Limited., The India Infrastructure Finance Company Ltd., A non-braking Finance Company classified as an Infrastructure Finance Company by the Reserve Bank of India. (b) Limit on issuance: The bond will be issued during the financial year 2011-12, the volume of issuance during the financial year shall be restricted to twenty five percent of the incremental infrastructure, investment made by the issuer during the Financial Year 2010-11, Investment for the purposes of this limit shall include loans, bonds, other forms of debt, quasi-equity, preference equity and equity. (c) Tenure of the Bond: The tenure of the Bond shall be for a minimum period of ten years. The minimum lock-in period for an investor shall be five years, after the lock-in period the investor may exit either through the secondary market or through a buyback facility, specified by the issuer in the issue documents at the time of issue, the bond shall also be allowed as pledge or lien or hypothecation for obtaining loans from Schedule Commercial Banks, after the said lock-in period. (d) Permanent Account Number (PAN) to be furnished: It shall be mandatory for the subscribers to furnish their PAN to the issuer. (e) Yield of the Bond: the yield of the bond shall not exceed the yield on Government Securities of corresponding residual maturity as reported by the Fixed Income Money Market and Derivatives Association of India (FIMMDA), as on the last working day of the month immediately perceding the month of the issue of the Bond. (f) End-use of proceeds and reporting or monitoring mechanism: The proceeds of the Bonds shall be utilized towards "Infrastructure lending" as defined by the Reserve Bank of India in the guidelines issued by it. The end use shall be duly reported in the Annual Reports and other reports submitted by the issuer to the Regulatory Authority concerned, and specifically certified by the Statutory Auditor of the issuer. The issuer shall also file these along with term sheets to the Infrastructure Division, Department of Economic Affairs, Ministry of Finance within three months from the end of financial year.